My parents literally had me on the beach at two weeks old and as soon as I wasn't going to drown, they had me on a boogie-board. I progressed up to a 4' Scott foam knee-board with plastic twin fins when I was ready to stand up. I was probably around three or four. My brother, Brent, also learned on that same knee-board. Our parents still have it. Pretty classic. I moved to Cocoa Beach from Merritt Island when I was in the fourth grade. Cocoa Beach was different then, still a sleepy surf and fishing town, and the river was still full of life. Everything changes. It’s inevitable. I surfed with my brother a lot, and Alex and Mike Gorichky, and Charlie Coddington when we were younger. I grew up surfing with Joey Maus, TJ Pardo, Lee McCaughn, Link Earle, and Kyle Ruddick after school at Despie’s (AKA Slater Way, Desperados, Islander Hut, Apollo Building) or 4th street south. Brandon and Brent Russell with David Nuuhiwa and Corky Carroll in the background at the 1987 Hang Ten Contest at Sebastian inlet, FL. Who are your parents and what was their involvement in the surf industry? I have my parents, Tim and Brenda Russell, to thank for making me a beach rat. In truth, I was going to the beach every weekend whether I liked it or not. My dad surfed regularly and my mom was a big fan of people-gazing and novel reading. I swear, we would come in from surfing after a couple of hours and our mom would have a 1,000 page novel finished. My dad surfed throughout his school days at Merritt Island High School, graduating in 1972, and my mom graduating the following year. My dad did most of his surfing with his best friend, Bob Tate, who later went on to co-found the Ocean Image Surfboard brand, “Uncle Bob”. My mom co-directed the Eastern Surfing Association's Central Florida District for years back in the mid to late nineties, and into the the 2000's. She doesn't surf but is an organization machine and knows the sport from it's core. She has all of the in's and out's of running a quality contest down pat. Describe your surfing style, surf board style, and fin set-up. I would say my surfing style is best described as “smoothly aggressive”. I think it comes from riding all types of boards over the years. My surfboard style varies too much to pick one. 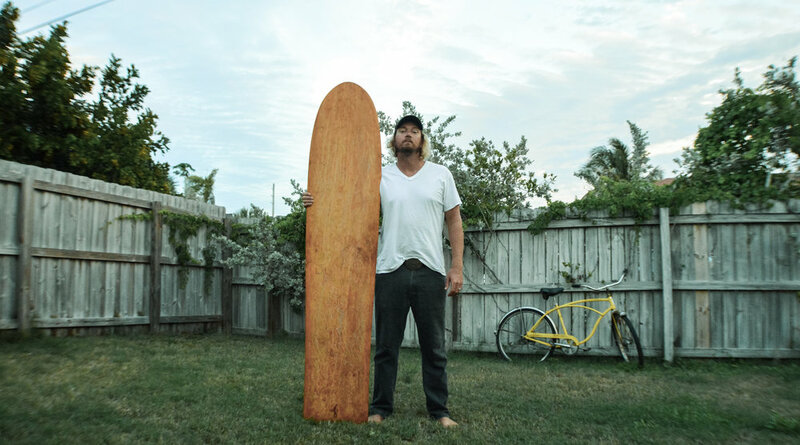 I ride everything from finless wooden alaias to a single fin log. I'll ride a 6'1” quad toob-shooter, and I'll ride a shlong-board. I have ADD too bad to ride just one thing all of the time. 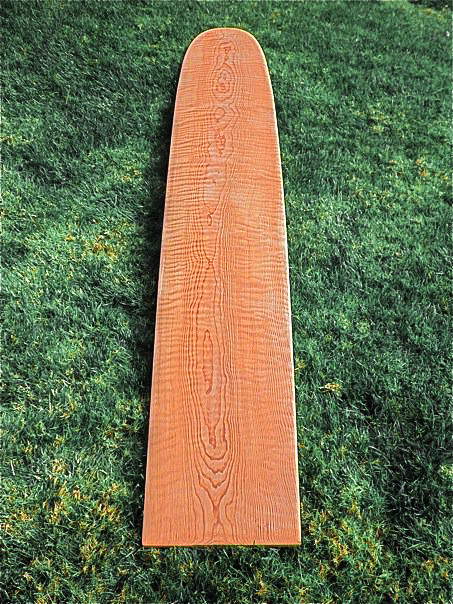 I would say this about longboards, though: I've never liked a 50/50 rail, I realize that may not be a popular statement among log loyalists, but I really prefer a tucked edge like Donald (Takayama) put on a lot of his longboards. My favorite board ever was the School Bus II that Tommy Maus made for me. It's a full-on, heavy log with a glassed-on pivot fin and a tucked rail. It makes all the difference to me. It fits my surfing better, I guess. Most guys like the 50/50 rails. I know, I'm weird. My go-to board, at the moment, is a 9'4” that I made, modeled after Donald's “In The Pink” model, but I changed up the curves a bit and thinned out the rails. I ride it with a 2+1 set-up and it's super versatile so you can really get some extended tip time on it. What other accomplishments did you reach in your surfing career? Ummmm... Well.... I won the US Team Trials at Oceanside Harbor back in 1999 and was the longboarder for the US Team. That's a whole other story in itself. I surfed the “Clarion Tour”, or whatever it was called, in 2000. It was basically the last few years of the old Bud Pro Tour. I surfed the Coldwater Classic at Steamer Lane, the US Open in Huntington Beach, a contest at Lowers and East Coast Surfing Championships in Virginia Beach. At the end of that season I had qualified to surf the World Contest. I couldn't afford to go. I won the NKF Pro Longboard one year, Waterman's Challenge another year, and I got 2nd place in Easter Fest back when it was still a big deal. I never did get a national title. Fourth was the best finish I got. Are there any contests you’d like to participate in in the future, either as a competitor or as a judge? I haven't had much competitive drive for a while now. Years, even. However, I've been getting the itch again lately. Mid-life crisis, maybe. I think the longboard world contest is still in a weird place but hopefully they will work out a criteria that works for everyone. The qualifying contests are set up weird too. Part of me would like to give it another shot. I would like to take my judging to bigger venues and tours. I would really like to get involved with the World Surf League longboard tour. I think they could use some more guys on the panel that are actually longboarders and can fully appreciate what the guys are doing in the water. The Duct Tape Invitational is a super cool concept as well and I'd love to get involved with that, maybe on the judging panel. At least with Joel's contests, the criteria has been made clear. Tell me about your history with the Eastern Surfing Association as a competitive surfer and a judge. I surfed ESA growing up like so many other east-coasters have. I surfed Boys Shortboard, then Juniors and Jr. Longboard, eventually winning back-to-back East Coast titles in 1998 and 1999 in the Junior Longboard division. I was on the ESA All Star team before I moved out to California to surf the pro tour. Once I got out west, I thought it was kinda silly to be an East Coast All Star while living in California, so I turned in my badge. I started judging local ESA competitions back in 1999 and 2000 when Chip Hall taught me how to be a professional on the judging panel. That pretty much got me started off on the right foot. He still gets me most of my judging gigs these days, which I'm very appreciative for. I've judged a few ESA Easterns events and regional events, and I was judging the Treasure Coast district and the Central Florida district's contests regularly for a while, and now mostly just Central Florida contests, as well as the larger ESA events when I can. I judge a lot of different events now, like the National Kidney Foundation annual contest, Easter Fest, Salty Sweet, Waterman's Challenge, and a lot of other contests in Florida. What are some of your most memorable heats? The US Team Trials final. It was a man-on-man against Chris Del Moro. It was double-elimination format and I had no losses. We surfed a twenty minute heat and he beat me, so we surfed another twenty minute heat for the win and afterwards, I was sitting on the beach waiting for the results and they announced the winner was Chris Del Moro in red. But I was in red! They corrected it and I won. Quarter-final heat in Huntington at the US Open was around 6-8' and almost scary. It was me, Devon Howard, Skippy Slater and Colin McPhillips, if I remember correctly. I still remember seeing Skippy get a stand-up barrel in the heat, and I did a lipper on an 8' close-out that, to this day, was probably the biggest I've ever done. They scored it as a 3. Getting second place at Easter Fest still stings a bit. I was on a roll throughout the entire contest, but the surf for the final was one foot and choppy, and mostly lefts. Mark Codgen waxed me, being goofy-footed. He deserved the win. What did you think about the World Surf League's criteria change for the world longboard contest in China last year? No offense, but the world longboard contest in China a couple months ago was pretty embarrassing. I don’t believe in taking away from guys who are surfing at their highest level, in a different style, just to meet a criteria. The criteria changed, and I see where they’re going with it, for marketing and what not, but the scoring felt inconsistent and I’d like to help the WSL get back to scoring good surfing. If it’s a “longboard contest”, as long as you’re on a board over 9’, it shouldn’t matter if it’s got four fins, a 2+1 setup, a single fin or finless. You should be able to surf however you want, whether it be progressive or traditional, or a mix of both, and a good judging panel should be able to differentiate between good surfing and lesser surfing and the cream should always rise to the top. If you’re going to take high performance surfing away from the guys, you’re then making it a “traditional longboard contest”, which is cool, but Joel already does that, and you’re never going to top that. The Duct Tape has the counter culture element that’s at the roots of the longboard scene. The WSL is never going to successfully copy that, and they shouldn’t. Keeping it open to allowing guys to surf how they want gives the sport more flavor, and creates variation in surfing, which is what’s cool about long boarding in the first place. There’s more than one way to surf a longboard. It doesn’t matter to me how you surf. I enjoy and appreciate both styles of long boarding, but I don’t think it should be taken away from the guys that want to hit the lip if they get a chance. The guys were ripping, I just didn’t agree with the criteria change. On a positive note, it is nice to finally be able to watch it live. Each year, the broadcasts get a little better, but I’d like to see it reach a level where the production is comparable to the shortboard events. I moved out to California when I was 18 to surf the tour and lived in Encinitas, and then after about a year I moved back to Florida. After a few years back home, I decided to move back out there. This time, to Oceanside for another eight years. 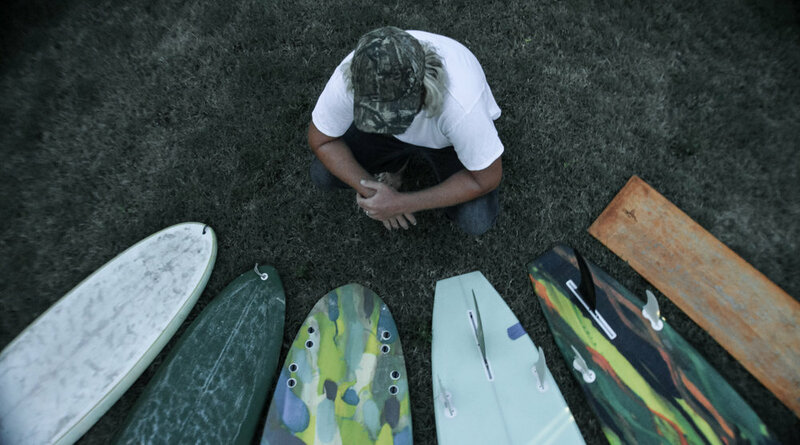 How did you start working in surfboard factories? I got started in factories just from being around them as a team guy. I was always in and out of the Quiet Flight factory, and R&D (Ricky Carroll's factory) and I remember thinking to myself, “I never want to do that.” Now it's all I want to do. My first real factory job was at the Channin factory up on the hill in Encinitas, CA. I was 18 and living out there in a tiny studio with two other guys and nine longboards. My roommate, Tim, was working up there but was leaving for a long trip to Australia so I went up there and got that job. Randy Wong was teaching me how to hot-coat on the first day. I eventually did hot-coats and fin boxes. I worked there a few different times over the years doing different things; running the shaping machine, sanding... It was a privilege to learn from those guys and I haven't taken it for granted. I was also priviledged to watch and learn from some of the all time best laminators, ever. First off, to work for Randy Wong at Tony Channin's factory demanded perfection. Anyone that knows who those two men are, know what I mean. Respect commanded and well deserved. I got to watch Alex Villalobos, Zeph Carrigg, and Wyatt Henderson, and became good buddies with "Perico". I also got to witness Wayne Hoshizaki do his thing on Takayamas in Oceanside. Priceless lessons, even if I was stealing with my eyes. I got to work on a lot of Joel Tudor's boards during that period, and I even remember getting the honor of seeing gods like Dale Velzy, Renny Yater and Pat Curren come to the factory. I was super lucky to have been around and to have been able to watch legends such as Tommy Maus, Jim Phillips, Joey (Maus), Steve Clark, and Bill Shrosbree, who all have helped me out in one way or another, whether they know it or not, in the shaping realm. I kept learning and working to be a better craftsman, and over the years I worked in several different factories. I worked at Ricky Carroll’s factory a couple of times, doing hot coats and fin boxes. 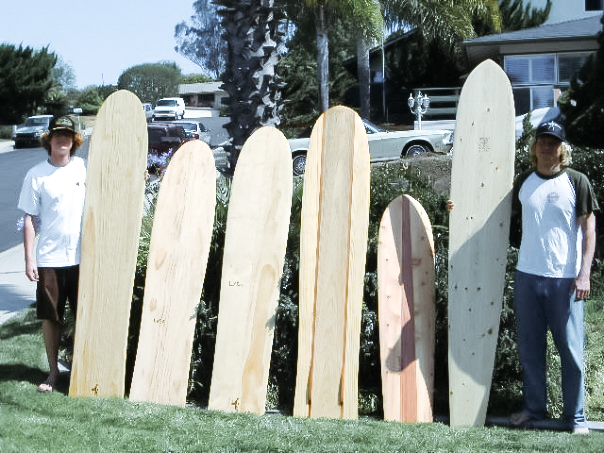 At the Quiet Flight factory I was the glosser, the rub out and polish guy, and I routed the longboard boxes and sanded all of the Illusions that my friend Joey Maus was shaping at the time. I was sanding Takayamas in Oceanside for a while. I also did some work with Larry Mayo, sanding and polishing. In between working at factories, and even before I started working in factories, I’d worked in surf shops, like Quiet Flight, Balsa Bill’s, GoSurf, and Epic, all in Florida and Jobbies Longboards in Costa Rica. Taylor Jensen brought one over to the house one afternoon after work and he, my brother and I started making them in the back yard. How did you start working with Donald Takayama? I met Donald through my brother. Brent has been riding for Hawaiian Pro Designs for years now. I had been sanding all of the Takayama boards, and after I made a few alaias, I took them up to Donald’s retail store and showed him. He was stoked on them and from there we started making Hawaiian Pro Designs alaias with Donald's template. We made a few for the team guys and sent a big batch to Japan and a few to Hawaii. Is there a difference in a professionally shaped alaia and "winging it" at home? Yeah. I think the first misconception is that most people think it's just a piece of plywood. There's really a lot more to it. You first have to source the right wood, you have to glue them up into a blank, and a good alaia is going to be shaped how a foam surfboard would be shaped, with the same knowledge and skill. Your average back yard hobbyist isn't going to know how to properly roll the rails right in the nose. They're not going to know where to start and stop the edge, or how far up the concave goes, and how deep it goes. They won't know the right angle to make the bevel on the rail. Then, knowing how to professionally finish the wood, from sanding it all the way down to oiling and waxing it and polishing it out with a buffer. The finished product shouldn't even feel like wood. It should feel like glass. Then to know how to maintain it, and what you need to maintain it, is something that you need to learn. Donald with one of his self-shaped alaias. 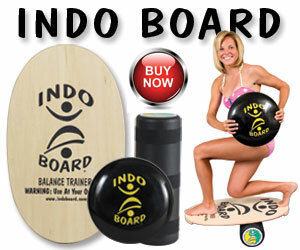 What are some of the positive characteristics about surfing wood as opposed to foam? The wood has a more organic feel to it. The other cool thing about wood is its life longevity. If you care for them properly, they will last forever. With wood, you don’t have a room full of foam dust, or toxic chemicals and resin. And you get free mulch for the garden. How did you start shaping foam? Working in factories, the opportunity to shape foam will be there for the taking if you want it. It was just a natural progression for me in my quest to build boards from foam to finished. What are your strong and weak points as a shaper? I think I’m a better designer than I am at getting everything perfect. And I’m pretty slow. It takes me a while to take a board from start to finish sometimes, because I’m doing every step myself. But I like it like that. Who were a few of your role models or idols growing up? Tell me about your brother, Brent. He’s a former US Champion. Brent can surf anything and ride it well. He’s arguably the best nose rider to come out of the east coast, and he has won numerous professional nose riding contests in California to prove it. I love the guy. I was always the “big brother” growing up, but it’s almost as if the roles have reversed in some ways, these days. What do you enjoy beside surfing? My wife, fishing, art, gardening, collecting vintage taxidermy, playing music, history, watching old basketball footage, and making things with my hands. Where in the world have you surfed? Not many places. East Coast from Florida to New Hampshire, all over California, St. Thomas in the US Virgin Islands, Costa Rica and Nicaragua. How did you like Central America? I moved to Nicaragua in 2012 with my wife to work at a surf camp, and ended up in Costa Rica working at another surf camp teaching surf lessons and working in a surf shop. That lasted for about ten months until we both got dengue and were just kinda over it. There was fun surf every day, nothing crazy, but head high and ripable almost every day. Both are beautiful countries and I hope to go back sometime. What are your goals going into the future? I want to build more surfboards, surf more, get into prime shape again, play more music, and be a better person everyday. Should have some new boards up in the shop soon.